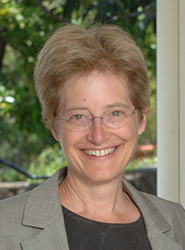 Ann Taves is professor of religious studies at the University of California, Santa Barbara; past president of the American Academy of Religion; and president elect of the International Association for the Cognitive Science of Religion. She is the author of numerous books and articles, including Religious Experience Reconsidered: A Building Block Approach to the Study of Religion and Other Special Things and Fits, Trances, and Visions: Experiencing Religion and Explaining Experience from Wesley to James. She is completing a new book titled Revelatory Events: Unusual Experiences and the Emergence of New Spiritual Paths, and supervising the interdisciplinary Religion, Experience, and Mind Lab Group at UCSB.